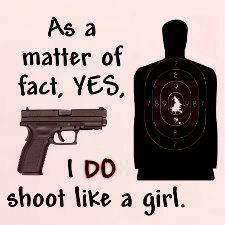 YOU GO GIRL, ANNIE’S KIMBER GOT A GUN!!! Watching The Wake Up Show on KHQ was 17-year-old Kimber Wood’s boyfriend and parents, who told her there was a car thief on the loose in the area and deputies were searching for him. Kimber’s parents and boyfriend left for work and after seeing our story. Her boyfriend came across some deputies on his way to work and got more information from them. He then called Kimber to let her know what deputies told him. Kimber then called her dad and asked if she could grab one of his guns for protection. He said yes. Kimber grabbed a gun, placed it under her pillow and went back to sleep. A short time later she says she woke up to the sound of someone coming into her house. She grabbed the gun and hid behind her makeup vanity. She soon found herself face to face with the man on the run from deputies. Do black lives matter when its black on black crime, or is that only used when they are killed by white police? 16 year old Arnesha Bowers, a promising, young, black high school student had her life cut far too short by the acts of two savage black gang members. Arnesha Bowers was found sexually assaulted, bound and strangled to death in her Northeast Baltimore home that had been set on fire in an attempt to cover up the crime. 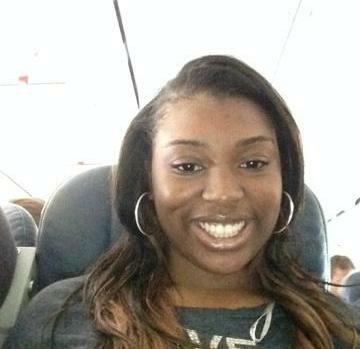 Investigators say that Arnesha Bowers knew her attackers and they used her cell phone records to track them down. This is just one in the long line of murders that have taken place in Baltimore; however, all the MSM and liberal politicians care about is going after police officers so to hide their pathetic and terrible record on crime. Where is Al Sharpton protesting this heinous murder? Or does this murder not fit his narrative like Freddie Gray? 16-year-old girl was killed before her Northeast Baltimore home was set on fire, police said Monday, the latest child caught up in the surge of violence afflicting the city. In Curtis Bay, officials canceled classes Monday at an elementary school after police found the body of a man outside. Four children were wounded during the weekend; three by gunfire. “As a mother, to know that this violence has impacted our young people is stressing,” Mayor Stephanie Rawlings-Blake said Monday night at an anti-crime walk in South Clifton Park. The City Council held a moment of silence Monday for Arnesha Bowers, a 16-year-old City College high school student whose body firefighters found in a burning house. She was one of six people killed in Baltimore between Saturday and early Monday, bringing the total for June to 13. 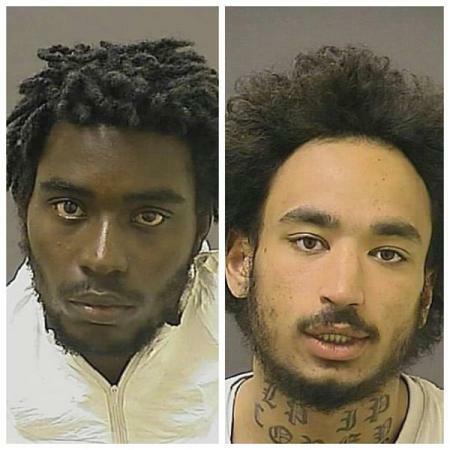 UPDATE I: Gang Members 23-year-old Adonay Dixon and 20-year-old John Childs Charged with Murder. According to court documents, Childs and Dixon were hanging out with the teen at a party when they followed her home and plotted a burglary. Investigators say Childs and Dixon broke into the home through a basement window, but were soon discovered by Bowers. Childs told police while he ransacked the house for money, Dixon dragged the teen into the basement. Detectives say she was strangled with an electrical cord before the house went up in flames. Childs and Dixon face multiple charges, including first-degree murder. John Childs was released on bond from the Baltimore County jail on a burglary charge just five days before the murder. Daron Dylon Wint was arrested by police Thursday night and charged with the quadruple murder of the Savopoulos family and their house keeper. 34 year old Daron Dylon Wint was arrested Thursday night in Northeast Washington, DC by the Capital Area Regional Fugitive Task Force. Wint is the prime suspect in the quadruple murder of the Savopoulos family and their housekeeper. Wint was charged with first degree felony murder while armed. According to accounts, Wint was tracked to New York City; however, was ultimately taken into custody at 11 p.m. on Rhode Island Avenue in Northeast Washington. Savvas Savopoulos was the CEO of American Iron Works, where Darron Dylon Wint was reported to have been a previous employee of the company. Wint, 34, was arrested at 11 p.m. on Rhode Island Avenue in Northeast Washington, Metropolitan Police said. He is charged with first degree felony murder while armed. Members of the Capital Area Regional Fugitive Task Force made the arrest. He is slated to be arraigned later today. Robert Fernandez, Commander of the Capital Area Regional Fugitive Task Force, says Wint’s arrest occurred after officers trailed two vehicles leaving a Maryland hotel. The capture apparently followed a missed opportunity for an arrest. “We tracked him up to New York City and we barely missed him,” Fernandez said. UPDATE I: Suspect in DC quadruple murder Arrested with four associates. From the NY Post domes the following, Robin Ficker, an attorney who represented Daron Dylon Wint years ago, said he did not believe Wint could “hurt a fly.” What do you say now counselor? The massive manhunt for a suspect in the horrific murders of a Washington businessman’s family and their housekeeper ended late Thursday when police grabbed suspect Daron Dylon Wint and four associates in the nation’s capital. “Just got him,” D.C. Police Chief Cathy Lanier said shortly before 11:30 p.m. The arrest capped a day that began with the revelation Wint had been identified in last week’s murders of Savvas Savopoulos, 46; his wife Amy, 47; the couple’s 10-year-old son Philip, and housekeeper Veralicia Figueroa, 57, by DNA left on pizza crust during what may have been an extended home invasion. Police traced Wint, a 34-year-old ex-con from Maryland, to Brooklyn, N.Y., and then back to Washington in the afternoon. UPDATE III: D.C. Quadruple murder suspect Daron Dylon Wint once bragged ‘he was good with a knife’. With a past record like this, it was only a matter of time before it escalated to murder. Daron Dylon Wint, the man accused of slaying a wealthy family and a housekeeper inside their D.C. mansion, once bragged he was “good with a knife” and “not afraid of the police,” according to court records. Wint, who was captured after a massive manhunt Thursday night, boasted about his ability to murder “easily” and has a pattern of alleged violence, records show. He reportedly bragged while threatening to kill a woman and her infant daughter after he went to a nightclub with her in 2010, according to records. “I’m going to come over there and kill you, your daughter and friends,” Wint told that woman, according to records. “The defendant advised he was good with a knife and could kill them easily and was not afraid of the police,” a detective said. According to the Washington Post, Wint, who “became very violent,” threatened another woman and her family that “he will drop us one by one” over a parking dispute. Again in 2010, Wint was arrested for carrying a 2-foot-long machete and a BB pistol outside the headquarters of American Iron Works, the company owned by Savvas Savopoulos. Wint’s alleged violence began in his own family. In 2005, Wint was ordered to stay away from his father, stepmother and younger sister after allegedly threatening to shoot them. His friends weren’t immune from his rages either; Wint punched and groped a former acquaintance and “drinking buddy” at the bar where she worked, alleged victim Jacinta Council told the Post. She eventually dropped the charged. In 2006, he punched a housemate during a fight over loud music. In 2006, he was arrested for stabbing a man. Wint was arrested for assault charges at least three times in the late 2000s. UPDATE IV: Police Say, Suspect in 4 gruesome D.C. killings might not have acted alone. D.C. Police believe more than one person may have been involved in the gruesome slayings of the Savopoulos family and their housekeeper, and said the victims were held captive beginning the evening before they were killed. The four were slain the afternoon of May 14, according to new documents filed in D.C. Superior Court, soon after an employee of Savvas Savopoulos dropped off $40,000 in cash at the home. This might just be the feel good story of the week. 92 year old Opal Phelps is the hero of the week. Opal was awakened in her bedroom by a masked thief in her Jasper County, TX home Monday, but was not intimidated. Instead she was defiant. The home invader then asked for $20, she informed him she didn’t have any money and was unaware of what she did with her purse. The thief then instructed her to put on her shoes. Because her shoes are hard to get on, that’s when the feisty senior citizen took her other foot and kicked the masked man right in the face. GOOD FOR YOU OPAL!!! The senior citizen did not give in to the thief’s demands. When he asked for $20, she informed him she didn’t have any money and was unaware of what she did with her purse. He then instructed her to put on her shoes. She had a Life Alert monitor on her nightstand and when the intruder grabbed it, she hit the button. The man took off, but he did get away with a gun she had near her bed. She was defiant to the end. Police are still looking for the thief.